Night vision hog hunting is one of the most exciting hunts we offer! 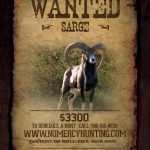 We offer these hunts for all levels of experience. 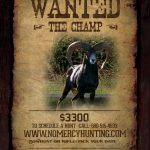 These hunts are guaranteed shot opportunity hunts (see Our Guarantee). Our success rate on the 2 day hunt over the past 8 years has been approx 98%. We offer these hunts year round. Night Vision Hog Hunting… Tactical Hog Hunting! We offer this Night Vision Hog Hunting with all weapons, ammo, and gear provided. We use the latest in high tech night vision and thermal imaging equipment. We also incorporate a training and safety session which ensures you have a safe and successful hunt. Our professional guides will be there to help you whenever you need it and to train you on how to effectively use the equipment. You will need to bring your own hunting clothing appropriate for the season but everything else is provided. These hog hunts take place on approximately 300 acres of dense timber, canyons, and hills in our high fenced hunting area. You will spend a portion of the hunt hunting in stands over bait and a portion of the hunt in mobile pursuit of hogs by UTV and stalking with night vision and thermal hunting equipment. Hogs typically killed range in size from 100 lbs. to over 300+ lbs. There are NO TROPHY fees on any of our hog hunts. We have introduced pure russian wild boars into this hunting area. Many of the boars killed in this hunting area therefore have the distinctive russian boar characteristics. These characteristics are a long snout, large front shoulders with a smaller rear, and long bristles of hair running from the head down the back. Russian boars are particularly know for their fiery temperament, which is how they have become known as the poor man’s grizzly. We can hunt a maximum of 8 people on this hunt. We require a minimum of 2 hunters to book this hunt. We currently offer these hunts two times per week for a Friday and Saturday night hunt and a Sunday and Monday night hunt. When lodging is available lodging will be provided on Friday-Saturday night and Sunday-Monday night. Night vision hog hunting requires a $25 state license fee which can be purchased at the Oklahoma Department of Agriculture Website. All hog hunters are required to purchase a $20 Oklahoma Feral Swine Control Association membership to hog hunt at our ranch. This organization promotes the control of feral swine in Oklahoma through sport hunting and protects our rights to hunt. This fee can be paid upon arrival at the ranch. More information can be found at OFSCA.ORG.